Today I thank God that Hazel fell asleep without Ducky since we haven't been able to find him since this morning. She cannot remember where she put him. Ugh!! 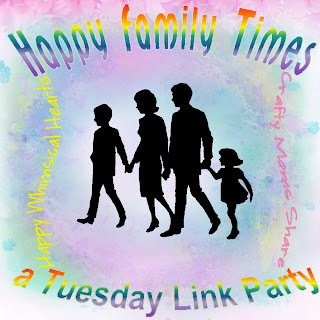 Have you done something new with your family or was it something relaxing, whatever it was Kelly from Happy Whimsical Hearts and I would love to hear about it. Please share below! We collect family activities each week in hopes of inspiring all of us to have more quality time with our families! 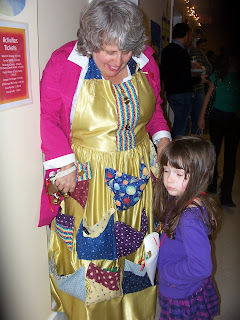 This weekend was the Holiday Fair at Hazel's school. On Friday I spent the afternoon helping to set up and then went back after dinner for a bit of shopping (I was good and did not have any of the wine). The night before they do a preview for adults only with most of the vendors there. They serve wine and refreshments as well since it is adult only. It really is a lovely evening. We also visited the Pocket Lady a few times. Hazel loved picking which gift to get. She did this three times. 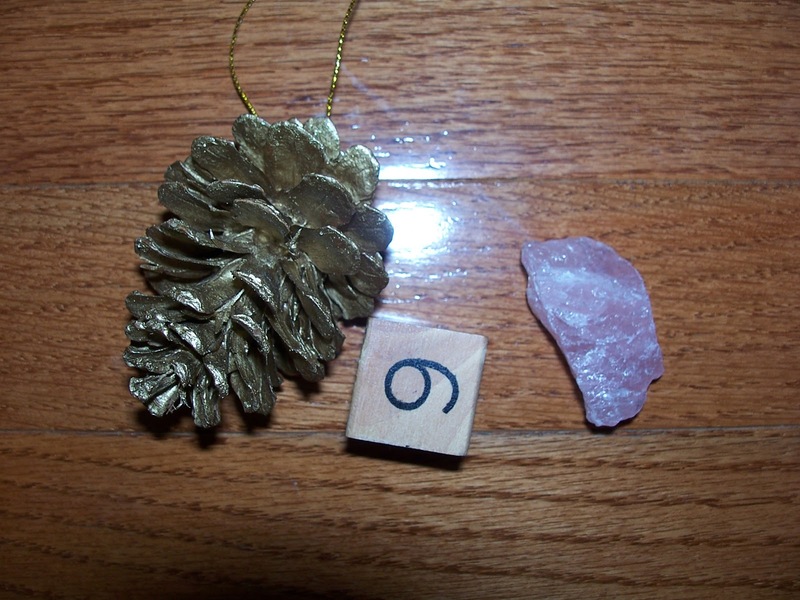 She got a gold painted pine cone ornament (which she hung on her tree), a number rubber stamp--either 6 or 9 and a rose quartz (which is on her nature table). 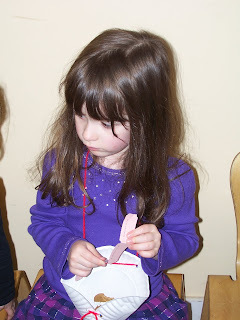 She loved doing this. Next we decorated a candle and a birch candle holder. 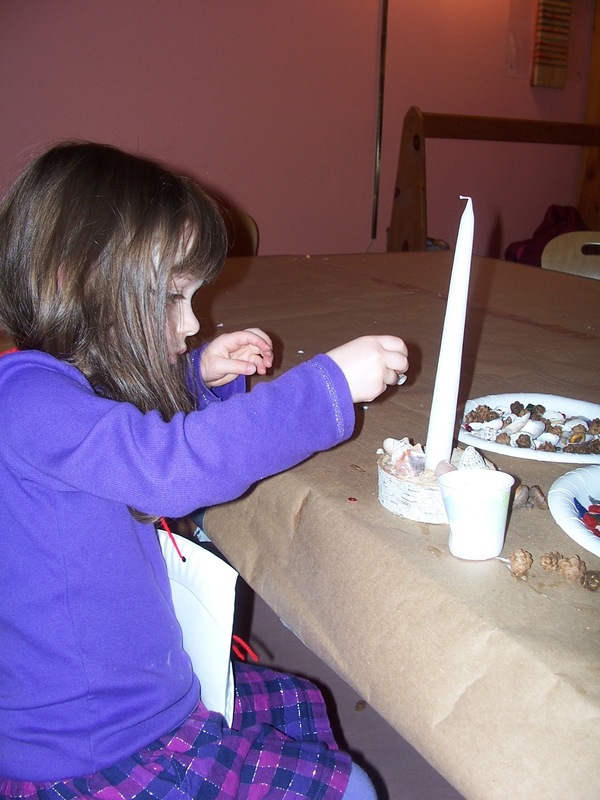 This was our favorite activity of last year. 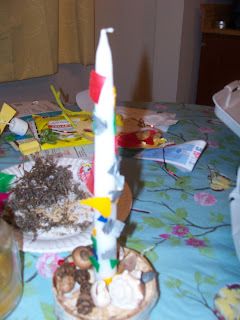 Last year we made four of these. Each of us did one and Hazel did two. 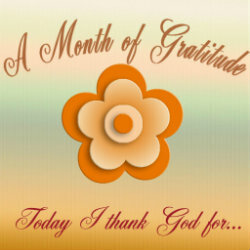 This year we only did one. By this time Steven had to leave for an appointment, so it was just us girls. We headed out to try our luck at dragon slaying. Last year I was afraid the dragon might be too scary for Hazel so we did not check this out. This year she asked to go try it. I was hoping Steve would take her, but he didn't get a chance before he left. You got three arrows and a bow and had to try to get an arrow in one of the holes on the dragon. If you did, you got a jewel. We did not. 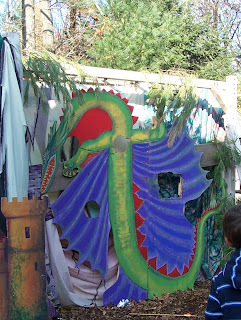 We almost hit the dragon once, but with both our hands trying to work it, it did not go too far. 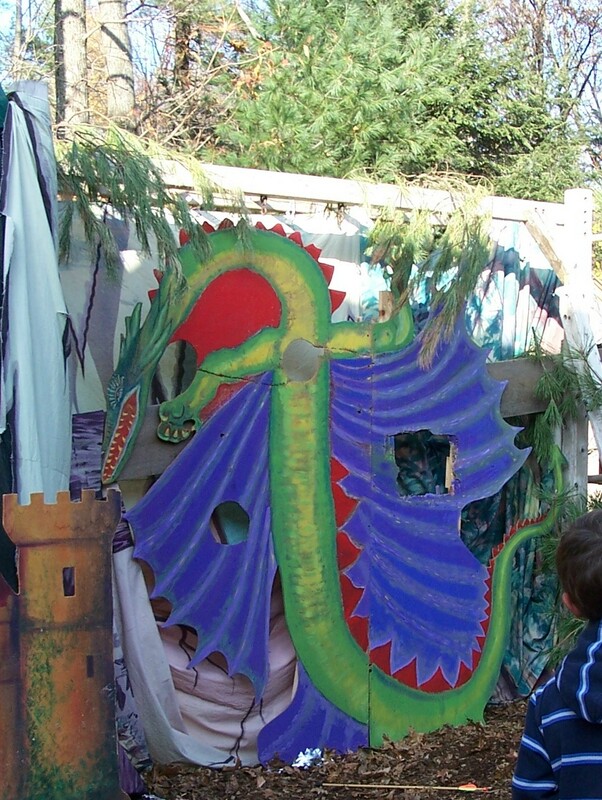 This year they moved the dragon slaying outside in the nursery play yard. It was fun, but next year I'll make sure Steve takes her to this activity. Then we went to the Wee Folk Shoppe again. 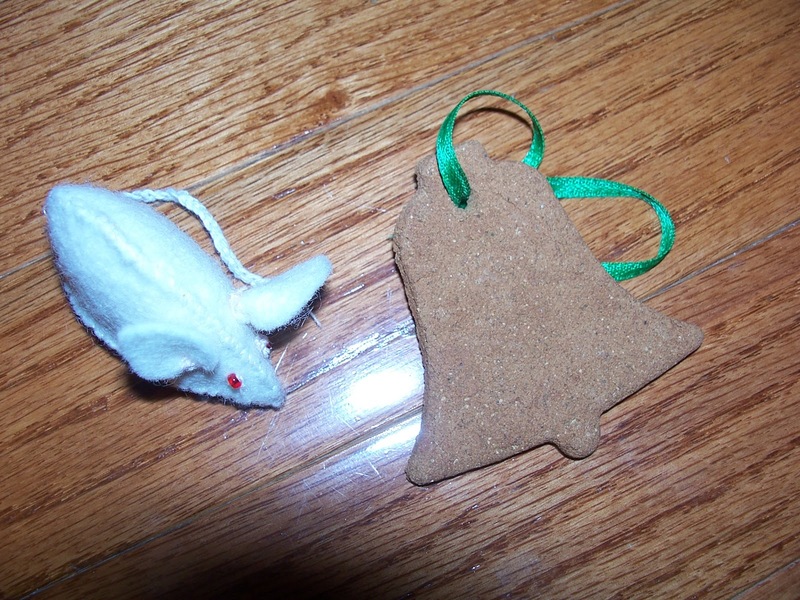 Hazel got a felt mouse and an applesauce cinnamon ornament from her two trips there. Not what I would have picked of all the treasures there, but she likes them. The whole way home she was making up a story about the mouse. Then we went into the school store and bought a couple more things and headed home. Overall it was a very fun day! Sounds like your Holiday Fair was great fun. Aren't lucky dips or pocket dips fun :-) Dino Boy loved that at our fair too. And the dragon activity looks good!